Do you love a good game of pool? Cool Pool has all your favorites - Eight Ball, Rotation, Cutthroat, Nine Ball, and Classic Pocket Billiards - on dazzling tables with a super-easy interface and with the option to use standard balls and custom balls. 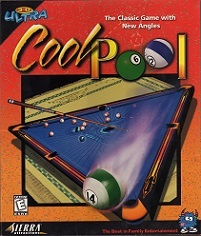 But Cool Pool also has five totally original "cool" games that'll curl your cue and which can be played both on a standard or a differently shaped "cool" table. They give pool a whole new angle of strategy, surprise, and fun! Mad Bomber is an explosive game of pool! Balls count down toward zero each time they're hit. After that, they turn into short-fused bombs - sink 'em before they explode! Rocket Ball is a fast-moving game that's easy to learn and a blast to play. Special rocket balls zoom around the table when struck and won't stop until they drop another ball. There are two ways to win 24 Cents, a game of loose change: be the first to pocket 50 cents or more, or be the first to collect exactly 24 Cents. Balls have different values - pennies, nickels, dimes. Make a run for the money! With Poker, balls are assigned playing card values. Gamble on a tricky shot, sink the right "cards" and collect the best poker hand to win. There are no aces up your sleeve in this game! In Chameleon Ball balls keep changing color. Convert them to your color and sink 'em-before your opponent does the same to you! Cool Pool, like Train Town, Radio Control Racers and Minigolf, is part of the 3-D Ultra series, designed by Jeff Tunnell Productions, part of Dynamix. 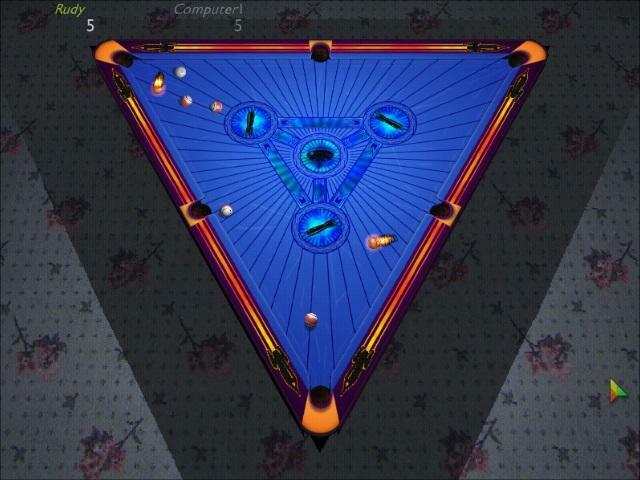 The game can be played with the mouse only, including precision controls to set the exact angle, and cue ball control to use spin or even jump the cue ball. The game can be played in three difficulty modes, affecting the game's unique target ball system. Chose to play against the computer in practice mode, against up to 4 human components on the same computer or against human opponents online. Although Sierra discontinued the servers for 3-D Ultra Cool Pool (among many other games) in 2008, a fan-made patch (available in the downloads section) makes it possible to still play online to this day. 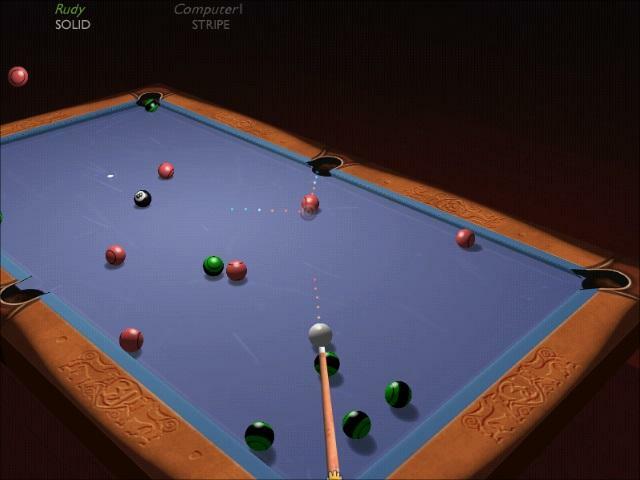 3-D Ultra Cool Pool also has an expanded version released in 2000, titled Maximum Pool, adding Snooker and Carom to the list of games, and enhanced computer opponents with different ability levels and speech. it also includes an expert mode which disables the target ball and guidelines.